Need some help! Wich exhaust should I buy? I have a few different options to choose from. Original of the tube is at 1.75 "
Which would you buy? How large is the difference in effect and the sound of justice in the different? Will there be any difference if you buy a Racing Cat Converter? 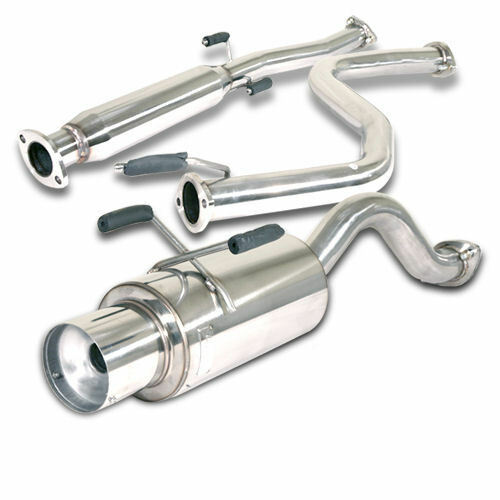 Get the 2.25" exhaust system. Anything bigger is too much for a stock 101hp honda. If you plan on going turbo, I would suggest a bigger exhaust then. I dont know what a SIX-performance exhaust is. I think I'd go with option one, even though I'm not exactly sure what you mean. Do you mean getting a custom exhaust that's 2.25" wide? I've never heard of Six-Performance and 3.5" is too big. What do you thing about this exhaust? Quick Reply: Need some help! Wich exhaust should I buy?